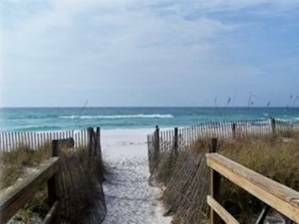 The sandy white quarts beach and warm aquamarine water of the Gulf of Mexico are what dreams are made of. 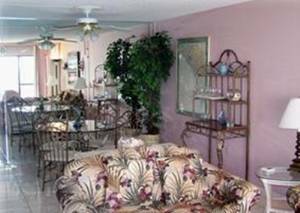 Guests of "Gulf Dreams" at Moondrifter delight in the spectacular view, close proximity to restaurants, shopping and entertainment plus the comfortable accommodations this beachfront location provides. 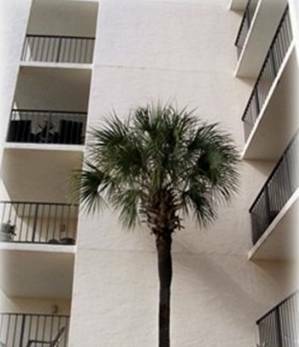 This spacious one bedroom, two bath condominium has an excellent floor plan offering privacy for everyone. The huge master suite is separated from the living area by a long hall. Two bathrooms compliment the privacy found within "Gulf Dreams". The beach motif and comfortable furnishings combine to create a relaxing atmosphere where the main attraction, the beach, is always prominent. The patio affords an excellent view of the gulf, the pool deck below and the excitement at Spinnakers. Guests enjoy being able to sit on the private balcony, enough distance to avoid the crowd and the noise but close enough for a great view of many of the exciting Panama City Beach events including the swimming portion of Spring and Fall Iron Man Triathalon events, the super boat races, Spring Break at Spinnakers, etc. etc. Relax in the living room, catching your favorite team on the flat screen television or a movie. Step out onto the patio to marvel as the tropical sunset puts on its daily show with the colors of pink, gold, violet and blue. You may notice that these are the dominant colors inside as well. There is a nice variety of restaurants with a short walk from the Moondrifter and the kitchen in "Gulf Dreams" is full equipped in case you prefer to eat in. There are 2 fresh seafood markets and a large grocery store within a mile. The dining room and breakfast bar comfortably accommodate up to six in style. Laundry is conveniently managed. There is a washer and dryer in the condominium. The King size master suite is one of the largest on the beach. It maintains an airy, spacious feeling even with a king size bed and two comfortable love seats. The property has two nice sun decks one by the pool, private access to the beach and a large area for grilling steaks or fish and dining gulf side with family and friends. 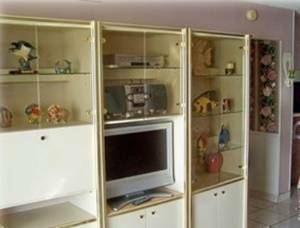 If your beach break or vacation dreams involve an attractive condominium, decorated with beach motif. 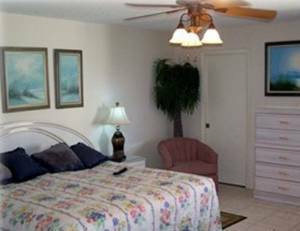 If you wish to be surrounded by comfort and convenience, "Gulf Dreams" is the perfect place to be! please add 85$ cleaning and 12.5% sales tax to rates above. We request 250$ refundable loss/damage deposit with every reservation.